Dr. Daniel Simon M.D., Division Chief of Cardiovascular Medicine and Director of HM-Heart and Vascular Institute at UHCMC; Dr. James Fang M.D., Section Chief of Heart Failure and Medical Director of Heart Transplantation at UHCMC; IIke Sipahi M.D., Associate Director of Heart Failure & Transplantation at UHCMC at the Harrington-McLaughlin Heart & Vascular Institute of UHCMC researched the effects of Angiotensin-Receptor Blockers (ARBs) on the risk of cancer. ARBs are a widely utilized drug class used for treatment of hypertension, heart failure, diabetic nephropathy, and recently, for cardiovascular risk reduction. Randomized controlled trials of ARBs with a follow-up of at least 1 year, and enrolling at least 100 patients were included in this meta-analysis. Information on new cancer development (first diagnosis) was available for 61,590 patients from five trials. Cancer data on common types of solid organ cancers such as lung and prostate cancer were available for 68,402 patients from five trials, and data on cancer deaths were available for 93,515 patients from eight trials. The meta-analysis showed that patients randomly assigned to receive ARBs had a significantly increased risk of new cancer occurrence compared with patients in control groups (7.2%vs 6.0%). Specifically, the risk of lung cancer was increased by 25%, which was also statistically significant. “We have found the risk of new cancers was increased with these medications by 8-11 percent. Most importantly, risk of lung cancer was increased by 25 percent,” said Dr. Sipahi. Although there was no statistically significant excess in cancer deaths (1.8% with ARBs vs 1.6% with control) the investigators pointed out that the average duration of follow-up of 4 years may be too short to capture cancer deaths. “In medicine, physicians must balance the benefits and risks of all drug and device therapies. We recommend that patients discuss the findings of this study with their physicians since ARBs are effective agents in the treatment of high blood pressure and heart failure,” said Dr. Simon. They conclude that because of the limited data, it is not possible to draw conclusions about the exact risk of cancer associated with each individual ARB on the market, but they stated that their findings need further investigation. In response to this publication from Case Western Reserve University, the European Medicines Agency (EMA) of the European Union announced that they started an investigation about the possible cancer risk of ARBs. The US Food and Drug Administration has not made any statement regarding this issue yet. Yori JL, Johnson E, Zhou G, Jain MK, Keri RA. Lu Y, Haldar S, Croce K, Wang Y, Sakuma M, Morooka T, Wang B, Jeyaraj D, Gray SJ, Simon DI, Jain MK. Liao X, Haldar SM, Lu Y, Jeyaraj D, Paruchuri K, Nahori M, Cui Y, Kaestner KH, Jain MK. Haldar SM, Lu Y, Jeyaraj D, Kawanami D, Cui Y, Eapen SJ, Hao C, Li Y, Doughman YQ, Watanabe M, Shimizu K, Kuivaniemi H, Sadoshima J, Margulies KB, Cappola TP, Jain MK. Kannan-Thulasiraman P, Seachrist D, Mahabeleshwar G, Jain MK, Noy N.
Han Y, Kuang SZ, Gomer A, Ramirez-Bergeron DL. Sakuma M, Morooka T, Wang Y, Shi C, Croce K, Gao H, Strainic M, Medof ME, Simon DI. Sipahi I, Debanne SM, Rowland DY, Simon DI, Fang JC. Matsumoto N, Khrestian CM, Ryu K, Lacerda AE, Brown AM, Waldo AL. Salem N, Kuang Y, Corn D, Erokwu B, Kolthammer JA, Tian H, Wu C, Wang F, Wang Y, Lee Z.
Wang C, Popescu DC, Wu C, Zhu J, Macklin W, Wang Y. 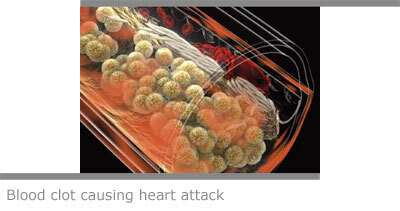 The Prophetic Protein :: Who is at risk for heart attack? Tense hours in the emergency room while tests confirm a heart attack may be rolled back to mere minutes, thanks to a telltale protein marker identified by Case Western Reserve University School of Medicine researchers. Better yet, a routine blood test for the nefarious protein could serve as an early warning to people at high risk :: Take steps now, and you may dodge the dangerous attack altogether. When the proverbial elephant takes a seat on one’s chest, it is a decided hint: That person might be having a heart attack, or myocardial infarction (MI). Every 25 seconds, someone in the United States has one, according to the American Heart Association, but the oft-reported sensation of chest tightening or pain is just that-a clue. Even in the hospital, it can take eight to 12 hours for current tests to conclusively rule a heart attack in or out. Common alternative culprits in chest pain are intense heartburn or a gallstone attack. Led by top physician-researcher Daniel I. Simon, MD, investigators at the School of Medicine, however, have discovered a marker of heart attack that promises to cuthours off the time for definitive MI diagnosis-to the tune of confirmation within 10 to 15 minutes of arriving at the emergency room. What’s more, a simple blood test for the novel myeloid-related protein-8/14 (MRP-8/14) marker could give long-used cholesterol screening a run for its money as a signal of MI in the making, years ahead of the cardiac attack. To hone in on the up-and-coming predictive protein MRP- 8/14, researchers applied an unprecedented scientific approach that scoured entire human genomes for cardiac warning signs. “We were on the hunt. We wanted to know what genes turn on or off in heart attack patients,” explains Dr. Simon, the Herman K. Hellerstein Professor of Cardiovascular Research at the School of Medicine and director of University Hospitals Harrington-McLaughlin Heart & Vascular Institute. Dr. Simon and his team of researchers identified MRP-8/14 as their best-bet marker for heart attack for use in emergency settings and as a potential companion to routine cholesterol screening in the doctor’s office. Dr. Simon’s account is a tale of finding a little molecule with big potential-a project born in a lab in New England that has grown on a campus in Cleveland. Read the full story at Medicus. Pamela B. Davis, M.D., Ph.D., dean of the Case Western Reserve University School of Medicine, announced the appointment of Jonathan S. Stamler, M.D., as the director of the Institute for Transformative Molecular Medicine and the first to hold the Robert S. and Sylvia K. Reitman Family Foundation Distinguished Chair in Cardiovascular Innovation at the Case Western Reserve University Cardiovascular Center and University Hospitals Harrington-McLaughlin Heart & Vascular Institute. The newly established chair was made possible by a $1.5 million gift from the Reitman Family Foundation and was slated to be held by a preeminent physician scientist dedicated to advancing cardiovascular medicine through compassionate patient care, clinical research, and training of fellows and residents. As director of the Institute for Transformative Molecular Medicine, primarily based in the Department of Medicine, Stamler will be charged with developing the Institute, with purview across Case Western Reserve University and University Hospitals. His efforts will catalyze scientific discoveries in molecular medicine, formulate new therapies that benefit humankind, and inspire the next generation of physician scientists. His research specifically has led to elucidating the fundamental role of nitric oxide in control of complex physiological responses through S-nitrosylation, a protein modification that he discovered. His work has helped to transform the simple notion of cellular redox state into the concept of a dynamic and precisely regulated mechanism for control of protein function, analogous to phosphorylation, but operating through covalent modifications at cysteine thiols. The ramifications of his work extend to all major classes of proteins and accumulating evidence suggests that protein S-nitrosylation is aberrant in many diseases. 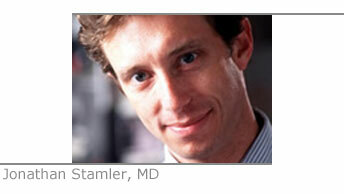 Stamler completed his undergraduate studies at Brandeis University, earned his medical degree from Mount Sinai School of Medicine, and completed his medical residency and fellowship training in both cardiology and pulmonary medicine at Harvard Medical School and the Brigham and Women’s Hospital. He joined the faculty of Harvard Medical School as Assistant Professor of Medicine in October 1993. In December of 1993, Stamler joined the faculty of Duke University, where he is currently the George Barth Geller Professor of Research in Cardiovascular Disease and Professor of Medicine and Biochemistry. University Hospitals Case Medical Center cardiologists have uncovered new research showing an increased risk of cancer with a group of blood pressure medications known as angiotensin-receptor blockers (ARBs). This class of drugs is used by millions of patients not only for high blood pressure but also for heart failure, cardiovascular risk reduction and diabetic kidney disease. University Hospitals Harrington-McLaughlin Heart & Vascular Institute’s Drs. Ilke Sipahi, Daniel I. Simon and James C. Fang recently completed a meta-analysis of over 60,000 patients randomly assigned to take either an ARB or a control medication. Their findings are published online today at The Lancet Oncology. The researchers found that patients randomized to ARBs has “significantly increased risk of new cancer” compared to control patients. However, the research did not establish any link between ARBs and other types of cancer such breast cancer. Before this study, there were no major safety concerns with ARBs except for their use in pregnancy and in patients with chronic kidney or blockages of kidney arteries. Interestingly, previous animal studies with ARBs have been negative for cancer development. University Hospitals named one of the Top 10 Health Systems in U.S.
For the second consecutive year, University Hospitals (UH) has been named one of the top 10 health systems in the United States based on clinical performance by Thomson Reuters, a leading business and professional information organization. UH and the other top 10 systems outperformed their peers by a wide margin. They provided better care, followed standards of care more closely, saved more lives, had fewer patient complications, and made fewer patient safety errors. The list was compiled in a study conducted by researchers from the Thomson Reuters 100 Top Hospitals®. They analyzed the quality and efficiency of 255 health systems based on eight metrics that gauge clinical quality and efficiency: mortality, medical complications, patient safety, average length of stay, 30-day mortality rate, 30-day readmission rate, adherence to clinical standards of care (evidence-based core measures published by the Centers for Medicare and Medicaid Services), and HCAHPS patient survey score (part of a national initiative sponsored by the U.S. Department of Health and Human Services to measure the quality of care in hospitals). Thomson Reuters rankings are available at www.thomsonreuters.com. Beginning in July, the first multiple-principal investigator combined training program between Case Western Reserve University and Cleveland Clinic will be initiated by Fabio Cominelli MD, PhD, the Hermann Menges, Jr. Chair in Internal Medicine at the School of Medicine, and Claudio Fiocchi MD¸ Clifford and Jane Anthony Chair for Digestive Disease Research and Education, Lerner Research Institute at Cleveland Clinic. The National Institute of Diabetes, Digestive and Kidney Diseases provided the new joint effort with a five-year grant worth nearly $1M. The funding supports post-doctoral fellows in obtaining digestive disease science training for a period of three years; for physicians this will be in conjunction with their clinical training in gastroenterology. This training program is unique in that it follows the city-based program model of the Clinical and Translational Science Collaborative (CTSC). Trainees will come to Cleveland with the option to train either at the Lerner Research Institute or the School of Medicine, and they will have the ability to choose among 20 mentors whose laboratories are supported by more than $20 million per year in National Institutes of Health funding. The members of the Senate of the 128th General Assembly of Ohio paid tribute the School of Medicine in an official letter of commendation for being ranked as the 20th best medical school in research in the nation, as ranked by U.S. News & World Report. Signed by Senator Bill Harris, President of the Ohio Senate, and Senator Shirley A. Smith, Assistant Minority Leader, the acknowledgement applauds the School’s innumerable contributions to the study of medicine. On May 16, Case Western Reserve University School of Medicine had the privilege of graduating 157 of its best scholars into the world as physicians. The well-rounded Class of 2010 has attained intellectual mastery of the Western Reserve curriculum and matched to some of the finest residency programs in the nation. These new physicians are well-prepared to practice medicine. It is the hope of the Department of Medicine that they fulfill their dreams while continuing the rich, long-standing Case Western Reserve tradition of medical excellence. Congratulations and many thanks to the professors, instructors and staff that helped guide the students through their journey and shape their experience here in Medicine.